Our X3 in review utilizes an Intel Core i7-4930MX CPU. The Haswell core is rated for a base clock rate of 3 GHz, but it will downclock to 800 MHz if on the Power Saver profile. Furthermore, running on batteries will limit the CPU to 1.8 GHz no matter the system profile. Eurocom offers a plethora of Haswell i5 and i7 choices including the very high-end i7-4940MX for an additional $1050 from the base i7-4700MQoption. An integrated Intel 4600 is included regardless of CPU choice with Optimus or Dynamic Graphics depending on GPU. 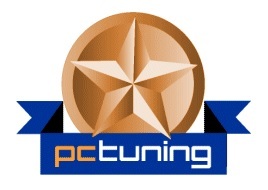 More benchmarks and information on the i7-4930MX can be found on our dedicated CPU page here. CPU performance is near the top of our database, especially in CineBench R15 as the benchmark is a newer addition to our standard tests. 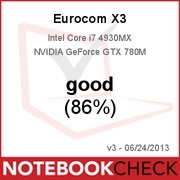 Scores are overall similar to the Eurocom X7 and Racer 3W, both of which have the same i7-4930MX CPU. 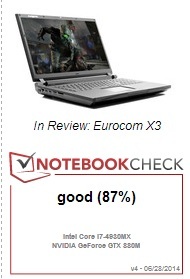 The Eurocom X3 is still an excellent notebook for gaming or otherwise very demanding applications. Regardless, we're satisfied with what the longevity that the X3 currently offers to both gamers and professional audiences, at least for now. This bad boy is equipped with a Core i7-4930MX Extreme Edition chip clocked at 3GHz with a Turbo Boost of 3.9GHz, 16GB of RAM, and Nvidia's new, leading laptop GPU, the GeForce GTX 780M. All in all, it's got enough juice to make Tim the Toolman howl. ...the X3 managed to slaughter every gaming laptop in this roundup. As a matter of fact, Eurocom's laptop won in every single performance benchmark by significant margins, be it in the CPU-intensive applications or, more punishingly, games. we’ve rounded up four of the more portable gaming laptops we could find: the 15.6-inch Lenovo Y510p, the 15.6-inch Eurocom X3, the 14-inch Alienware 14, and the 13.3-inch Digital Storm Veloce. This bad boy is equipped with a Core i7-4930MX Extreme Edition chip clocked at 3GHz with a Turbo Boost of 3.9GHz, 16GB of RAM, and Nvidia’s new, leading laptop GPU, the GeForce GTX 780M. All in all, it’s got enough juice to make Tim the Toolman howl. ...the X3 managed to slaughter every gaming laptop in this roundup. As a matter of fact, Eurocom’s laptop won in every single performance benchmark by significant margins, be it in the CPU-intensive applications or, more punishingly, games. S notebookem Goldmax X3 jsem byl celkově spokojen. S úhlopříčkou 15,6" jde o stále relativně snadno přenosný notebook, který je možné osadit tím nejvýkonnějším mobilním hardwarem současnosti. Výkon pak odpovídá plnohodnotným stolním počítačům vyšší střední třídy. Před pořízením výkonného notebooku doporučuji jako vždy dobře promyslet, zda vysoký výkon na cestách potřebujete, či by nebyla lepší volbou koupě samostatné stolní sestavy a k ní úsporného notebooku. Pokud se rozhodnete pro výkonný notebook, mohu modelem Goldmax X3 rozhodně doporučit. Don't let its bulky frame fool you; the Eurocom X3 is a gaming powerhouse. 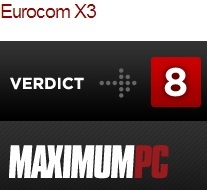 As expected, the Eurocom X3 offers exceptional performance. 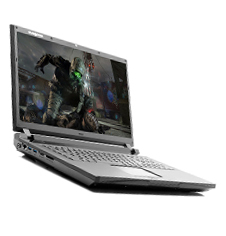 Equipped with a top of the line 3.0 GHz fourth generation Intel Core i7 processor and cutting edge NVidia GeForce GTX 780M, the Eurocom is able to tackle most processes with the greatest of ease. Still, it's hard not to gush over the lighting quick responsiveness that this machine offers. While the Eurocom X3 manages to do everything well, where it really shines is graphically intensive functions. The X3 is perfect for tackling HD video editing and 1080p games at optimal performance. Equipped with some of the fastest mobile Haswell and Kepler chipsets currently available, the Eurocom X3 shows no mercy when it comes to application and gaming performance. 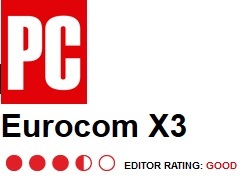 The launch of the Eurocom X3 comes just in time after the arrival of both Intel’s Haswell and Nvidia’s Kepler refresh. As a result, the notebook houses some of the most high-end hardware options for a 15.6-inch DTR including a Core i7-4700MQ, i7-4800MQ, i7-4900MQ and i7-4930MX CPU options with an Nvidia GTX 765M, GTX 770M or GTX 780M. Gaming performance is equally remarkable; all games tested can be played smoothly on High or Ultra settings at 1080p resolution. Even Guild Wars 2 and its bandwidth-heavy supersampling AA was not enough to substantially cut down frame rates.